Thanks for clicking. You prefer the finer things in life? LG panels are the best solar panels on the market and now offer a 25 year product replacement warranty, not 10 like all other panels on the market today. This is no joke! LG really have just announced the best warranty in the business that includes parts AND LABOUR for 25 years! This is news they released this week (15th May 2018) See here. To celebrate we are offering smashing deals offering the LG Neon 2 panels. 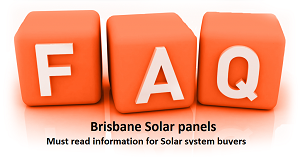 We believe our deals on LG Panels are the cheapest in Brisbane. Click to read about the Fronius Inverters. We are offering these outrageous special deals using the number panel in the world, the LG NeOn 2 and the Brilliant Fronius inverter. For those of you wanting nothing but the best solar panel system money can buy, this is it. This system boasts the best solar panels on the market today (May 2018) and the newest inverter with the latest technology, Fronius Primo 5.0. Track your homes energy usage, and see how much power you are exporting to the grid by asking to include one (costs extra). Read about the Fronius Smart meter here.